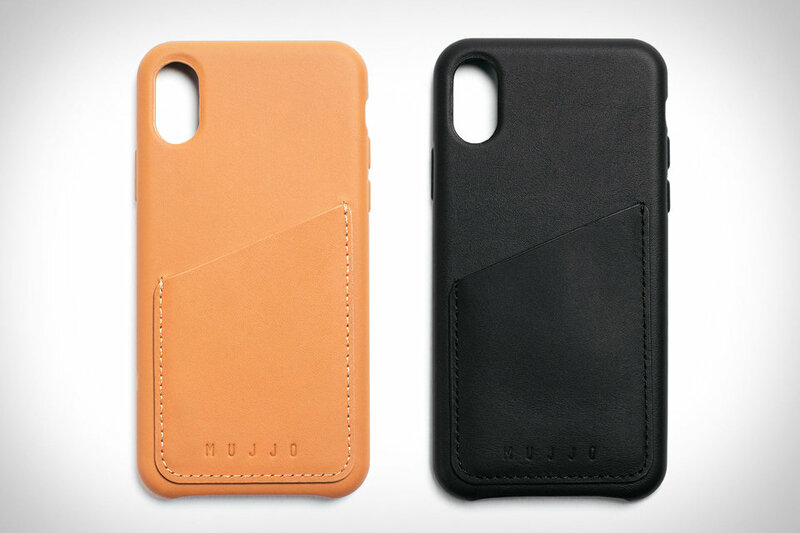 The beginnings of any everyday carry start with a wallet and your phone, so the Mujjo Wallet iPhone Case frees up your pocket space by combining the two. It's full-grain leather shell wraps around the buttons and the edges of the screen, rising above the glass for added protection against cracks from drops. Vegetable tanned and finished with aniline oil, the exterior develops a unique patina with every use. The exterior pocket can hold up to three cards while still maintaining a profile that can fit into the slimmest of pockets. Available in black or tan for the iPhone 7, 8, and X / XS, XR, and XS Max.